The Reliability Centered Maintenance is an analytic approach to discover the potential faults in a system, product or a process and to resolve this problem before it expands to unmanageable levels. With several critical equipment and machinery being utilized on a daily basis, risk-elimination and fault-prevention are of paramount importance. 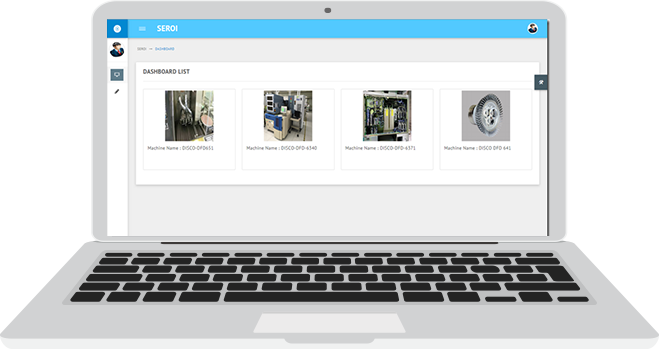 SEROI is an RCM web application aims to provide industries with efficient and seamless means of recording faults in their products and processes. With the information availed through this tool, you can detect failing modules and resolve any persisting issue prior to the materialization of any complication. This state-of-the-art RCM System is seeing major developments happen; with decision analysis modules in play, you will be able to narrow down to a feasible solution in no time. 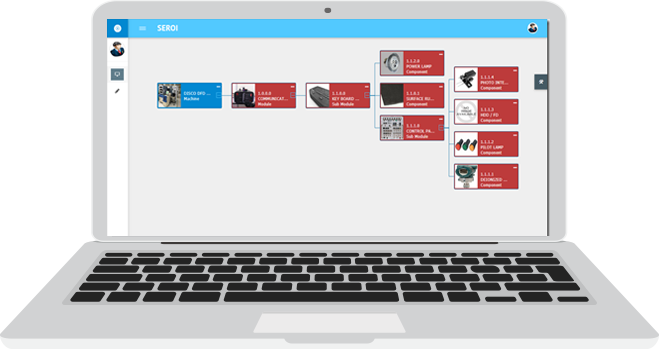 Keeping in mind the possible outcomes a failure module might have, we have designed SEROI RCM System to automatically help users analyze a fault through a set of Yes/No questions and arrive at a solution. Down the line, we plan on integrating Artificial Intelligence with our modules to take the analytical processes to a new level. Allows you to perform in-depth fault analysis by providing you with the potential fault details, ensuring you are better equipped to deal with problems should they arise. Create and maintain detailed hardware architecture for the systems. Maps out machine modules and component information clearly so that you can go through the potential problems without any hassles. Carry out extensive Failure Mode and Effect Analysis (FMEA) and Failure Modes, Effects, and Criticality Analysis (FMECA) to discern the potential problems that might arise and devise an appropriate solution for the same. Maintain all the failure module data in a single place for easier access and retrieval. Organize the complete workflow of your industry systematically. Lets you develop maintenance strategies for any and all problems. Gives a clean measure of a problem's severity with expert correctional suggestions and means to gauge the failure intensity. It provides meticulous simulation-based calculations to help compare between the various potential maintenance strategies to follow, and a calculator to aid in deducing the maintenance interval for any potential repairs. The easy-to-use interface makes the SEROI System comfortable right off the bat. Keeping all the machine data in one place helps you save costs and time. People with minimal or no technical experience can easily analyze faults, study the affecting factors and carry out the necessary maintenance actions. Search logs are present, allowing individuals to access failure data, reasons behind the failure and the remedial action details through our SEROI RCM System. Develop a plan to analyze if your system needs maintenance, and if so, plan a minimal-risk approach. Plot out optimal solutions for the potential faults without expending too much of time, effort or money. Measure the threat potential of risk through a simple 3-step selection process. Analyze the faults in your machines at break-neck speeds and maintain detailed records of the same. Have clear data of safety levels pertaining to your devices. Provide workers with possible post-failure impacts to be wary of. Stay equipped with failure causes and be in a strong position to tackle threats. Where Has RCM System Been Utilized? Industries have a tough time managing the heaps of data generated every day. When you have hundreds of machines running, and maintaining them is an arduous but necessary task. With our SEROI RCM System to provide you with cutting-edge fault detection and data storage for the same, you can resolve any rising issue immediately and ensure you have a perfect functioning system.